It’s hard to believe we’ve reached the 3-week mark in the 2017-2018 school year. We had a great opening and we’re now well into semester I. 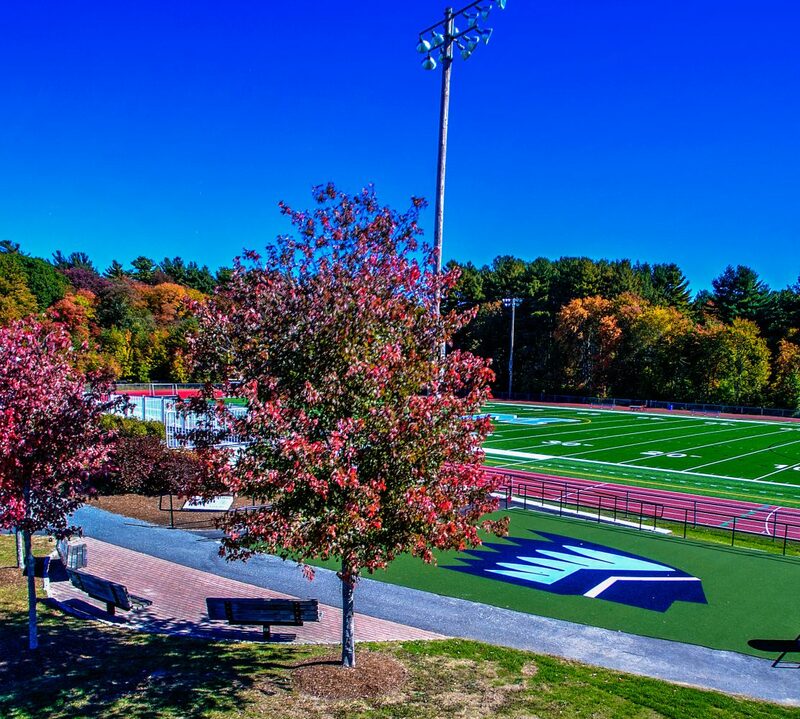 As our learning community is settling into the school year, I want to highlight a few items with the hope of keeping you up to speed with what’s happening at Medfield HS. I want to take this opportunity to thank our teachers for their preparation and our students for their patience as we worked through a few Google and Aspen bugs during the first few days. As we’ve stated many times, technology can make us remarkably efficient and it can also be the bane of our existence. Fortunately, our tech support has been incredibly helpful…kudos to them! As we do each year, we welcomed our freshmen on the first day with an opening assembly. It’s always exciting to see the new faces, some confident, some perhaps not so much. I’m always amazed at how quickly our freshmen are able to become familiar with their new surroundings. Their transition comes with the help of many at Medfield HS. Big thanks to the Medfield High School student council officers (aka the “Welcoming Committee”), for sharing their enthusiasm and school spirit, and thanks to the 80 senior ambassadors who helped show the freshmen around. As always, we are looking to make this transition even better so please don’t hesitate to reach out if you have any feedback. We opened the school year with the always popular senior cruise which for many years, took place in the spring. Several years ago we moved it to the fall, as we found the spring to be a very busy time for the seniors and their families. This change has been well-received and in fact, has created a nice bonding activity for the seniors. This year’s 3-hour cruise of the Boston Harbor aboard the Spirit of Boston ended in spectacular fashion as we were all able to enjoy a fireworks show…big thanks to whoever ordered that one up! Over the past couple of weeks, I’ve enjoyed visits to the classrooms. It’s always on my to-do list, however the nature of my job often derails me from getting to do what I enjoy most, watching students who are engaged and excited about learning. I’m determined to make more classroom visits this year! Last week, I spent time with our journalism students (big thanks to Ms. Broks for the invite). We talked about the many challenges that exist for journalists in this volatile political climate. The roles of journalists have changed and our students are aware of the many characteristics that represent good journalism. I am looking forward to seeing what they produce this year. Also this week, some of our students took a Google Expedition in their social studies classes. Our students went on a virtual tour of the 9/11 Museum located in New York City. Google has done a terrific job of creating virtual field trips that allow students the opportunity to experience various landmarks around the world…all in a 360 degree environment (Click here for more about Google Expeditions.) Big thanks to Mrs. Lohan, Mrs. Emerson and our technology guru Mr. Sonnenberg, for sharing with our students. This year, I’m excited to cover a senior advisory. These seniors have been together for the past 3 years, so I get to play the role of the new guy on the block. During our first meeting, I had the students share their responses about, “What I’m looking forward to most this year?” and “What makes me nervous about this year?” The students are all looking forward to their many end-of-the year senior activities. To nobody’s surprise, the overwhelming response to what makes them nervous is the college application/acceptance process that seniors will go through this fall (we will talk more about that throughout the year.) What was the highlight you ask? Of course, it was the obligatory first advisory of the year photo! Finally, athletics at Medfield HS are well underway. Please make sure to swing by the gymnasium as the floor has a new look. This summer, the floor was repainted with a slightly different color scheme…as you can see below, it looks fantastic! I want to wish all of our fall teams much success including soccer, cross country, field hockey, football, girls volleyball and golf. Make sure to follow Medfield Athletic Director Eric Scott’s Twitter feed at @MedfieldAD. Don’t forget to check our weekly newsflash that is emailed every Monday and as always, I’ll continue to post highlights and other info on my Twitter feed @MedfieldHS.